Section 9010 of the ACA imposes a fee on each covered entity engaged in the business of providing health insurance for United States health risks. This fee is commonly known as the health insurance tax (HIT) or the health insurers providers (HIP) fee. 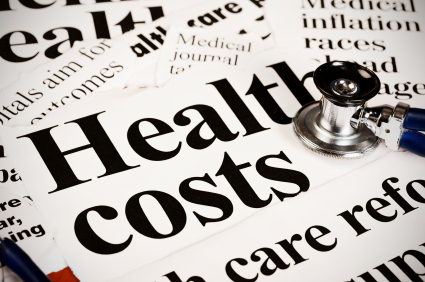 As a result of the HIP fee, insurance premiums increased approximately two to three percent. A benefit of being self-funded is that self-funded plans are not subject to the HIP fee. Good news! The Consolidated Appropriations Act of 2016 included a one-year moratorium on the HIP fee, suspending the collection of the fee for the 2017 calendar year. Groups may not feel the immediate impact of the moratorium because it applies to the payment that would be due in the 2017 calendar year based on 2016 data. The Centers for Medicare & Medicaid Services (CMS) state that markets should feel the impact on 2017 premiums because the administrative costs will be adjusted for the moratorium. The not-so-good news is that the moratorium does not affect the filing requirement and payment of fees for 2016, and currently extends for only one year. It has no effect on the fee amount for the fees due in 2018 based on 2017 data. To urge Congress to support the Stop the Hit legislation, visit NAHU’s action center. Section 1341 of the ACA established the Transitional Reinsurance Program to stabilize premiums in the individual private and public marketplaces. The transitional reinsurance fee (TRF) applies to fully insured and self-funded major medical plans for 2014, 2015, and 2016, regardless of the policy or plan year. Insurers of fully insured major medical plans and sponsors of self-funded major medical plans are responsible for filing and submitting contributions for the transitional reinsurance program. Self-funded plans include those plans that are partially self-insured and partially fully insured. Good news! The transitional reinsurance fee (TRF) is in its last year. Request UBA's "Frequently Asked Questions about the Transitional Reinsurance Fee (TRF)" for the answers to nearly 30 questions about filing, due dates, calculation methods, payment, submission and more. Section 6301 of the ACA established the Patient-Centered Outcomes Research Trust Fund. The Fund receives revenue from three funding streams: appropriations from the general fund of the Treasury, transfers from the Centers for Medicare and Medicaid trust funds, and a fee assessed on private insurance and self-insured health plans (PCORI fee). The fee applies from 2012 to 2019, based on plan/policy years on or after October 1, 2012, and before October 1, 2019. The initial fee was $1.00 per covered life. For the second year, the fee increased to $2.00 per covered life with an indexed amount in subsequent years. For plan years that end on or after October 1 2014, and before October 1, 2015, the indexed fee is $2.08. For plan years that end on or after October 1, 2015, and before October 1, 2016, the indexed fee is $2.17. The report and fee due date is July 31 following the calendar year in which the plan year ends, and it is reported on IRS Form 720, Part II. Download UBA’s “Frequently Asked Questions about the Patient-Centered Outcomes/Comparative Effectiveness (PCORI) Fee” which addresses 12 key aspects of this fee. Also, Request UBA’s comparison chart of the PCORI Fee and the Transitional Reinsurance Fee that includes side-by-side information on start and end dates, reporting methods, fee due dates, exclusions, and calculation methods for each. Download UBA’s chart on ACA fees and penalties and information on the IRS final rule on minimum value. Section 9001 of the ACA established the high cost employer-sponsored health coverage excise tax (Cadillac tax), which is codified in Section 4980I of the Internal Revenue Code. Beginning in calendar year 2018, if the aggregate cost of applicable coverage provided to an employee exceeds a statutory dollar limit, the excess is subject to a 40 percent excise tax. Good news! The Cadillac tax has been delayed two years. The Consolidated Appropriations Act or 2016, signed into law on December 18, 2015, delayed the effective date of the Cadillac tax to taxable years beginning after December 31, 2019. Though a delay is good, an alarming number of employers will be subject to this tax so consider joining NAHU in telling Congress to permanently repeal the Cadillac/Excise Tax!